The Local Business Theme for WordPress allows you to build a great website for your Business. It is simple and beautiful with lots of customization options that can tweaked by Theme Options Panel like logos, intro texts and background. 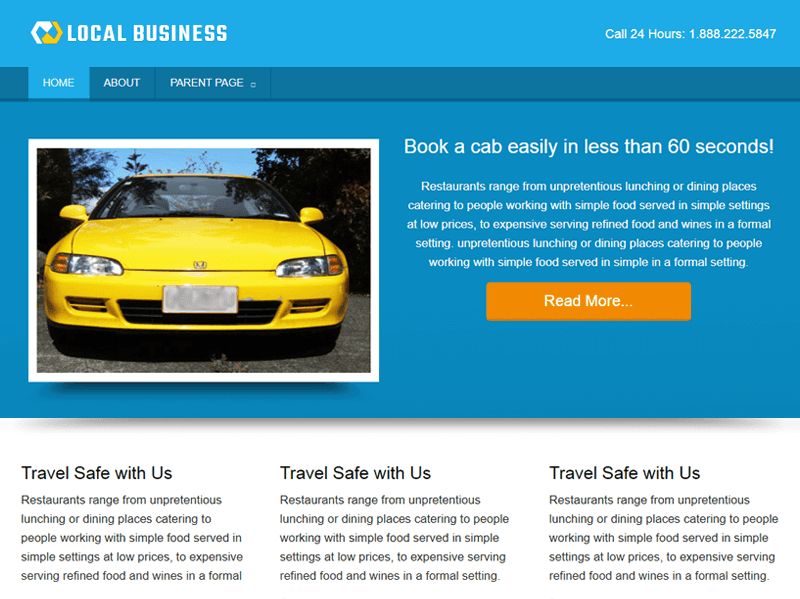 Local Business Theme supports five widgetized areas (two in the sidebar, three in the footer) and featured images. It includes stylesheets for print and the admin Visual Editor, special blog styles for posts. The Theme is very simple to setup and install using the builtin Options Panel.